If you are part of any sort of complex design work, I'm sure you have the same problem everyone else does—you are up to your eyeballs in data. Without a proper system in place, it can be difficult to efficiently communicate a project's workflow between all involved parties. That's where SOLIDWORKS PDM solutions comes in handy. Find the files you're looking for, collaborate in real time, stay compliant and reduce liability with just a click of a button. 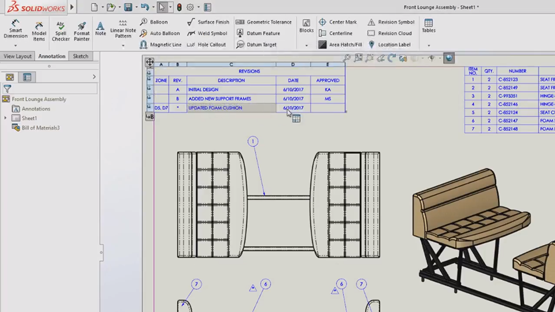 Here are 8 ways SOLIDWORKS PDM solutions can help you gain better control of your data today. How many hours per year does your company spend searching for files? You can get that time back. A PDM solution can virtually eliminate unnecessary searching for resources your engineering team has already generated. It can index key files like Parts, Assemblies and Drawings, along with non-CAD based documents, and provide instant accessibility for you and your team. True collaboration means real-time use of CAD files with revision control so everyone is on the same page. With features to replicate data at remote locations, the latest revision is available and recorded regardless of a team member’s location. This feature can even be used to balance workloads among sites. If a team member wants to know who to ask about the latest fixture sizing change, the built-in record system keeps track of that. Need to find out how new a design is and when it was last modified? This information is built in to the interface of the PDM system. 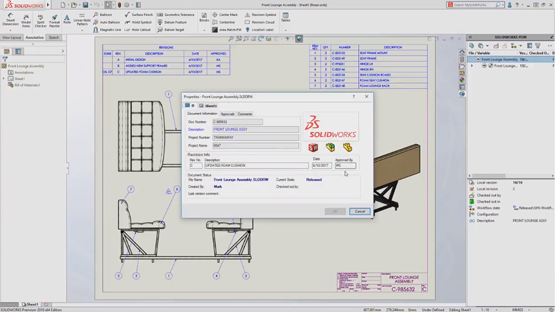 Things like engineering change orders and BOM updates have specific workflow integration features. From engineering to manufacturing, file confusion can lead to wasted time and resources. Whenever a new product is underway in development, it can be crucial to understand the history of the part. To avoid creating parts over again and having them go unnoticed further into production, PDM systems prevent this with features like descriptive search and revision control. Reduce the amount of time engineering spends managing documents. A PDM system can automatically adjust permissions throughout product stages and produce PDFs with details relevant to design milestones. Once a workflow is set, notifications will immediately let the right people know when a part is ready for approval. Compliance with industry and government regulations is critical. Not only do product data management systems keep track of your designs, revisions and supporting data, they can also be a key contributor to compliance with regulatory requirements. Things like a central data repository and electronic approval measures lead to a close following of guidelines for the FDA, European RoHSand, ISO and more. Reduce exposure to liability by avoiding oversharing. Adjust Read and Write access so that parts are managed by the group responsible for them. Some of the top reasons companies move to a PDM system include quicker access to files, better standards compliance and easier sharing. Contact us to learn more about any of these advantages and capabilities by asking one of our experts. Plus, don't forget to check out our PDM Video & Resource Library for other related content. *This blog was originally published back in 2015 and has been updated for accuracy and comprehensiveness.